A NEW four-minute video shows a bird's eye view of the now-open section of the Toowoomba Second Range Crossing. The video, shared by construction company Nexus, was taken with a drone. It starts on Mort St at Cranley and flies all the way through to the Gore Hwy at Athol. This 24km section was opened to motorists on Saturday at 4pm. 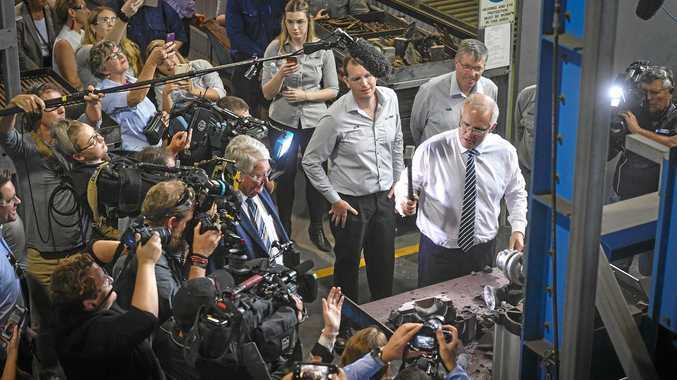 Australian and Queensland Governments officially opened the completed western half of the project. 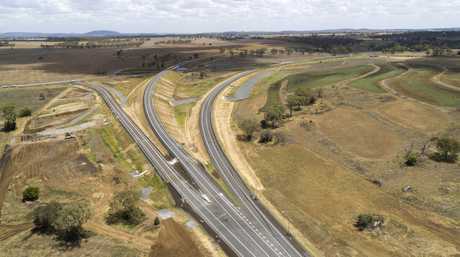 The opened section between Cranley and Athol provides new connections for cars and light commercial vehicles between Athol, the logistics hub at Charlton, and the Toowoomba CBD, via Mort St.
Toowoomba Second Range Crossing Gore Hwy Athol interchange. Vehicles up to Type 1 road trains can use the section between the Warrego Hwy western interchange at Charlton and the Gore Hwy at Athol. It is also a designated B-Double route, with access from the Warrego Hwy western interchange at Charlton to the New England Hwy at Cranley for travel north from Toowoomba. The remainder of the road, from the Warrego Hwy at Helidon Spa to the Mort St interchange, is expected to be completed by around mid-2019. The opened 24km-long section is toll-free. Tolls will be finalised closer to the opening of the road, expected around mid-2019.